Hello, my name is Chad Harding. I am looking to go full time knifemaker in the future and look forward to your order. In 2005 I made my first knife using the stock removal method, in which you just grind a knife from a steel bar. Since then I have forged most of my blades, using a forge, hammer, anvil, and raw steel bars of over size, or round stock to gain my desired shape before grinding them to a finished profile. My blades are made of tool steel and carbon steels, such as W1, W2, 1080, 1084,1095,15n20,L6, as welll as 5160 and 52100 chromium steels. A couple of years ago I started making my own damascus. This is a process in which two or more steels are forge welded together and manipulated to get a specific pattern in the steel. I also enjoy making blades from steel cable and chainsaw chains. 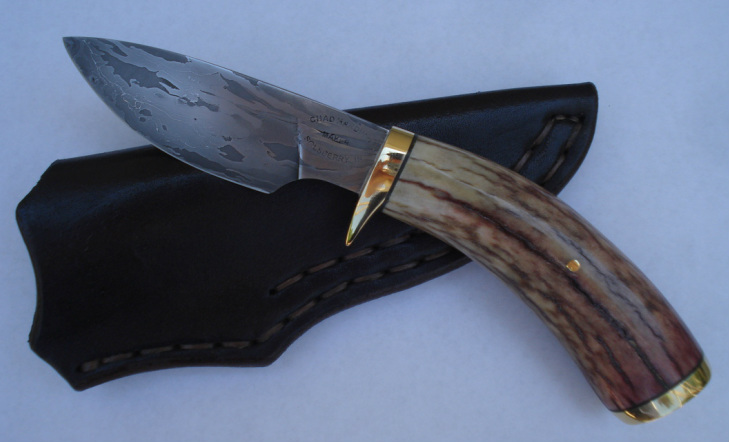 My knives are sole authorship, meaning all work is done by me, including the making of the sheath. I became a member of the "ABS", American Blade smith Society ( www.americanbladesmith.com). I plan on getting my journey smith rating in the near future. 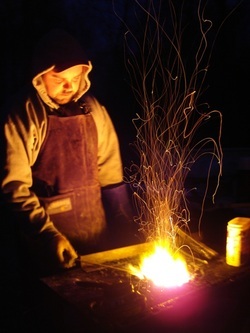 I learn more and more with every knife that I make, and I never tire from what I learn at the forge. Heat treating and thermal cycling of a knife is the backbone of a quality blade. The finest steel in the world is useless unless properly heat treated. The grain size of the steel is a major factor in a performance driven blade, and periodic cutting and destruction tests are the only way to test my methods. 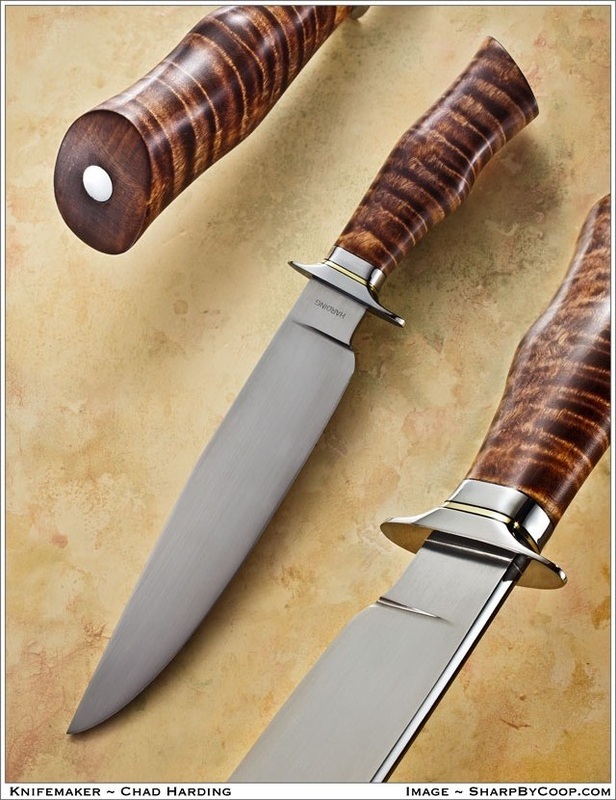 I was honored to be featured in the "knife maker showcase" in the June 2011 issue of Blade magazine, also December 2012 issue and was featured in the October 2012 issue of "KNIFE WORLD" and the September 2013 issue of "TACTICAL KNIVES" magazine. Most recent I had a knife in "KNIVES 2014" . Most recently I was on the second episode of FORGED IN FIRE on the History channel, although I didn't win it was a great time . Also for fun I do traditional blacksmithing such as pot racks and coat racks and what not.